Sunday may be a day of rest, but it can also be a day of instructive wine tasting if you visit the Montage Laguna Beach. vintages from wine regions around the world. person, but space is limited. For more information visit www.montagelagunabeach.com. Francisco since 1979, but ties between the two cities go back 140 years. More than 30 cultural institutions and civic groups are participating in the California events that corresponds with the World Expo in Shanghai from May 1 to Oct. 31. Exhibitions, performances, film series, lectures, and a symposium have been scheduled. poster art, fashion, movie clips and contemporary art installations. a randomly selected person who votes for the winning entry. random lucky voter who voted for the winning entry. tells his or her travel tale. by calling toll-free 1-877-970-5337 or locally at 1-760-786-9872.
percent of the park is developed leaving huge areas open for exploration. permitted to drive off roads within park boundaries. followers before his 1969 capture. blooming soon, providing a colorful welcome to visitors. 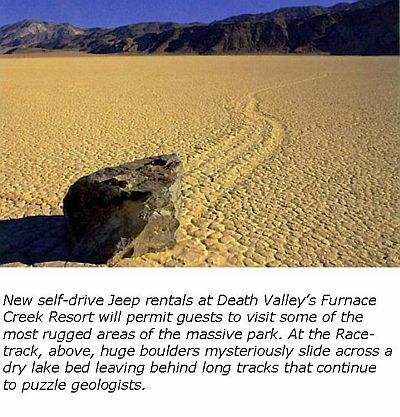 The Furnace Creek Resort has been welcoming guests since the 1930s. 1-800-236-7916 or 1-303-297-2757 or go to www.furnacecreekresort.com. Surf School and tickets to Birch Aquarium. consumers to book a family, golf, adventure, spa or romantic-themed getaway. trip to San Diego North by following the Bureau on Twitter (www.twitter.com/VisitSDNorth) or becoming a Facebook fan (www.facebook.com/SanDiegoNorth). fireplaces and many luxurious amenities. On Friday and Saturday nights, rooms over Cannery Row rise to $179 per night; while oceanfront rooms are $249 a night. silver tray. Reservations must be booked by Feb. 12.
book now or call 800-841-1879.
this Valentine’s Day? 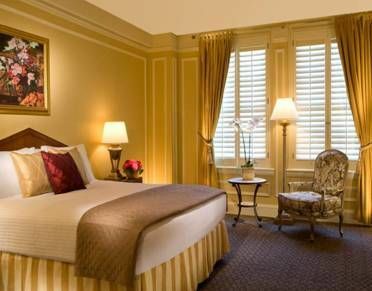 Check out this package at the Millenium Biltmore in downtown Los Angeles. There’s even a love or money option! afternoon hors d’ouevres and beverages, evening turndown and comfortable bathrobes and slippers in-room. throughout the month of February. Los Angeles. For exclusive discounts and full details, please visit www.downtownla.com. bright lights and big city of Downtown. complimentary shuttle service to all theaters. created a three- and six-course tasting menu featuring Neo Bistro cuisine. President’s Day and plan a girls-only getaway weekend. each evening, strolling cupids and other–ahem– creative amenities. either of its two restaurants. some help impressing a new date? A concept wine bar and gastropub featuring more than 50 local and global wines. hand-crafted cocktails amid the majestic relics of a long-lost era of glamour. Try the Rosebud Martini and fresh oysters. Play the field with your friends: Visit www.downtownla.com for dozens of bar options. Hall. Tickets are available at www.laphil.com. First Thirty Years exhibition is an inspiring way to spend the 14th. tables, with live belly dancing performances at 7:30 pm and 9:30 pm. friendship, mom, anniversaries, or just because, flowers never fail. hours: February 13-14, 6:00 am – 2:00 pm. the four-lane Luxe suite. Details at http://www.lalive.com/index.php. of the world’s greatest athlete-entertainers. www.staplescenter.com. DowntownLA.com for a free Natural Balance treat bag. www.barkavela.com. Leave your heart in San Francisco this Valentine’s Day. sails under the majestic Golden Gate Bridge. The cost is $58 a person. Tiburon and Sausalito, as the sun sets over the Pacific Ocean. (5-17) and free for kids under 5 years of age.